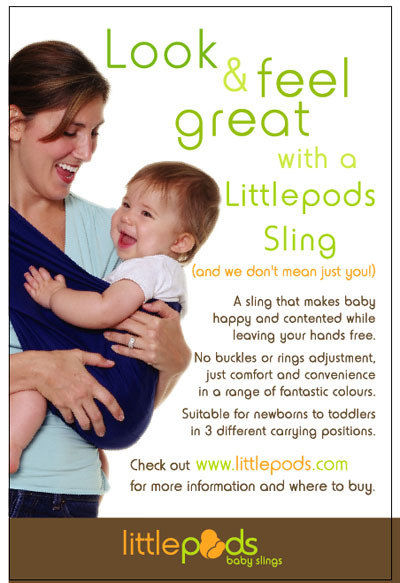 For the active parent, the Littlepods Baby Sling provides a convenient hands-free way to carry your baby or toddler. 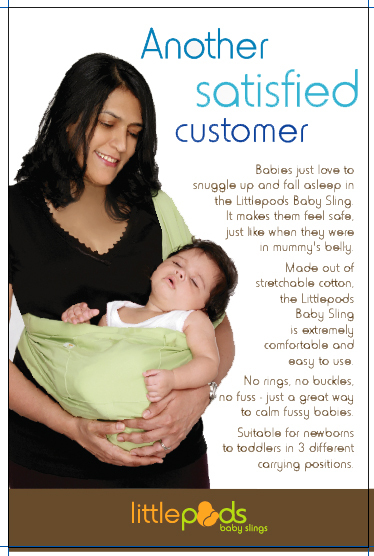 It can be used from newborns to toddlers up to 15kg and is a great way to calm fussy babies. Completely hassle-free, there are no straps, buckles, rings or adjusting to worry about. Made from comfortable stretch cotton, this pouch-style baby carrier has just enough stretch to ensure that your baby will be snug and comfortable while promoting bonding between parent and child. Littlepods Baby Sling folds up compactly and is small enough to throw into your diaper bag. It can be used as a baby blanket and comes with a handy little pocket and toy loop for play things or pacifiers.